If it is your first visit to Gdańsk make sure you see a few flagship places, symbols of the city. If you have been living here for years you have probably passed them on your way home many times. Perhaps it is worthwhile to stop and see them afresh? 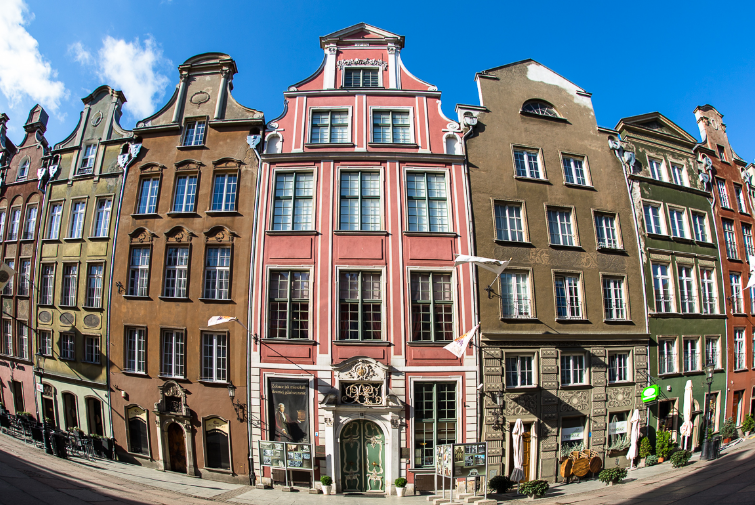 Every reason is good to have a walk to the Main Town and the Old Town and rediscover the hidden gems of architecture; this is why we invite you for a journey through classical Gdańsk. This 15th century brick house was purchased and subjected to modernization by a famous Gdańsk merchant and bibliophile Johann Uphagen in 1775. The tenement house in the Długa Street is the only merchant house in Poland and one of the few in Europe that are open to the public; this is why it is worth visiting to see how the Polish reality of that time looked like. The first museum was established there in 1911 and operated until 1944 when the German conservators evacuated its interior decor and equipment. The destruction of the house and the rest of the city happened in March of the following year. The museum tradition was reinstated at the end of the 1990s when a branch of the Gdańsk History Museum – the Museum of Burgher Interiors was opened there. Thanks to a visit to the Uphagen’s house, we can learn about the burgher culture of former Gdańsk.